You have drawn the card danger as your daily psychic Tarot card for overmorrow, Monday, April 22nd 2019. 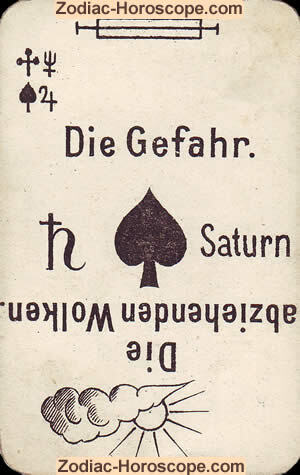 The Planet Saturn ensures that your decision will be tested several times by life. The Saturn demand, that you get to the bottom of things, he wants you to fight for your goal. For this you will reach your limits. If your idea only is a dreamery, then it will burst like a soap bubble. If, however, you are patient and persistent for the realization, then you will also be rewarded.